Wines from the GIMBLETT GRAVELS swept all the trophies for the fuller bodied red wine categories at the Air New Zealand wine awards gala dinner last night. 4 trophies, to wines from 3 different vintages, concluded another successful show season for GIMBLETT GRAVELS. For a full list of results, visit www.airnzwineawards.co.nz. For a full list of results, visit https://www.airnzwineawards.co.nz/. Trophy winners will be announced at the awards dinner on the 20th November. GIMBLETT GRAVELS wines dominated the fuller bodied reds categories in the 10th anniversary wine awards, securing 3 of the 4 trophies available. Chardonnay also performed favourably, securing 2 gold medals in the main category, with a further gold for the Squawking Magpie 2006 Chardonnay in the Museum Class for aged wines. 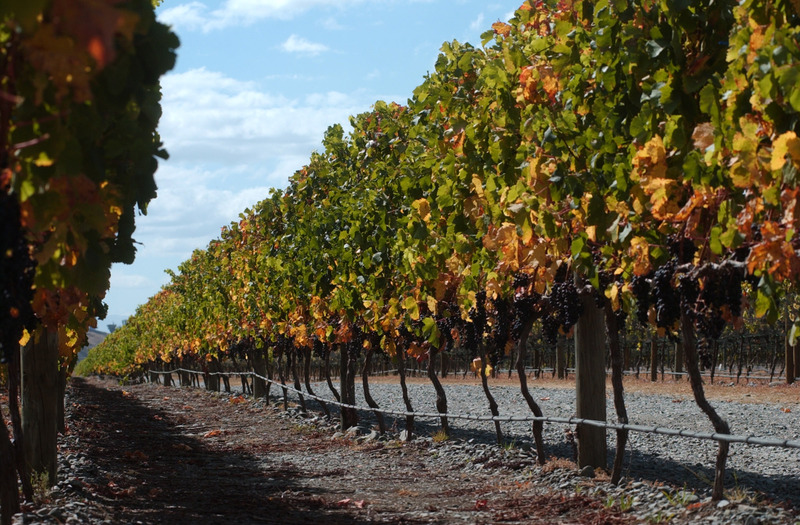 GIMBLETT GRAVELS wines fully played their part in securing a famous victory for New Zealand over Australia and South Africa in the 2010 Tri-Nations wine competition. 2 trophies, 1 double gold and 10 gold medals, won in 5 different wine categories, helped New Zealand beat Australia by just 2 points; only the second time New Zealand has won the overall competition. Leading the way were trophy wins in the, highly prized, Syrah/Shiraz and Bordeaux Blends categories by Vidal Reserve Syrah 2007 and Villa Maria Reserve Cabernet Sauvignon Merlot 2007, respectively. A total of 7 gold medals were won in these two classes. Villa Maria also won double gold for their Reserve Merlot 2007 in the Merlot class. Showing strength in depth, gold medals were also secured in the Cabernet Sauvignon and Other White Varieties and White Blends classes. Romeo Bragato – best Trophy haul ever! 6 GIMBLETT GRAVELS red wines landed 4 trophies and 6 gold medals at the 2010 Romeo Bragato Wine Awards announced last weekend; the most successful haul from these awards in GIMBLETT GRAVELS’ short history. Leading the charge was Vidal Wines Reserve Syrah 2007, securing 3 trophies, comprising Reserve Champion Wine of Show, Champion Syrah and Champion Sustainability Wine. Mills Reef’s Elspeth Trust Vineyard Cabernet Sauvignon 2007 won the Champion Cabernet Sauvignon trophy. The Romeo Bragato Awards are unique in that they acknowledge the success of the growers/vineyard managers. The GIMBLETT GRAVELS results are detailed below with the full results available at www.wineshow.co.nz. 4 GIMBLETT GRAVELS red wines secured Gold Medals at the above show, formerly known as the Liquorland Top 100 competition. Trophy results are to be anounced in June. The 2006 vintage John Forrest Collection Syrah, from the Newton Forrest GIMBLETT GRAVELS vineyard, has just secured the auspicious accolade of a Gold Medal at the 2010 International Wine Challenge. “Dense yet elegant syrah with a range of flavours from floral to dark berry and from chocolate to black olive, plus a seasoning of cracked black pepper. Fruit is supported by firm yet sweet, ripe fruit tannins and classy oak that, while clearly evident, allows varietal flavours to occupy centre stage. Quite youthful wine that shows plenty of cellaring potential. Made from grapes grown in the GIMBLETT GRAVELS area of Hawkes Bay”. Gourmet Traveller NZ Syrah Tasting, June 2009 – 97 Points, 5 Stars. “Dense yet elegant Syrah with a range of flavours from floral to dark berry and from chocolate to black olive plus a seasoning of cracked black pepper. Fruit is supported by firm yet sweet, ripe fruit tannins and classy oak that, while clearly evident, allows varietal flavours to occupy centre-stage. Quite youthful wine that shows plenty of cellaring potential. Made from grapes grown in the GIMBLETT GRAVELS area of Hawke’s Bay.” Bob Campbell, April 2009 95 Points, 5 Stars. The results of the 2010 Decanter World Wine Awards have just been announced, with Villa Maria’s Reserve Merlot 2008 – from the GIMBLETT GRAVELS – securing a prized Gold award. For further results, visit www.decanter.com. 5 GIMBLETT GRAVELS wines achieved the distinction of a Blue Gold medal with 4 of the wines also ranked in the Top 100 wines of show. 3 trophies and 12 gold medals have been awarded to GIMBLETT GRAVELS wines.